Ever since itunes acquired and released the Beatles catalogue, I have been a bit obsessive over their music (just ask my wife). It is incredible and I have not tired from listening to their songs over and over again. 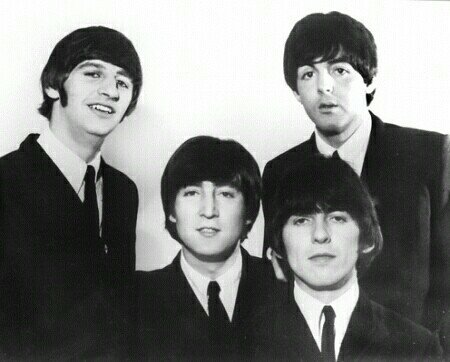 It has been forty one years since their break up and the quality and endurance of their songs remains. I got to thinking what makes the Beatles such an enduring band. More specifically what has given their songs such staying power? I doubt in forty one years we will still be listening to Brittany Spears. The very high quality of each song. I am discovering that listening to the Beatles is best done with head phones. There you pick up the variety of intruments layed over the various tracks. Very well done and worth listening to often. There is a richness to their delivery. The mature movement toward engagement with life. The Beatles told stories in their songs and narrated the exuberance (Ob -li-de, Ob-li-da) as well as the angst (Eleanor Rigby; A day in the life). What is music if it can't address the human condition? I think there are lessons here for our lives and the leaving of an enduring legacy. Live life with excellence. For us this is really an issue of integrity; does your inside values match your outward actions and do you do everything with an incomparable example? Live life creatively. We are, in the words of J.R.R. Tolkien, sub-creators of the one Creator God. We were made to embed our unique contribution into the world. Live life fully and honestly. We must not shy away from the muck and the grime of life but rather to engage it fully with joy or sorrow. After all, you can't have one without the other. I prefer to hang out with people who have been wounded by life and have learned to bounce back and thrive with wisdom at their core. The Beatles have endured and I believe will continue to do so because of their dogged pursuit of quality, their continued imaginative exploration in their songwriting, and an honest, straightforward engagement with life in all its complexity. Okay, I'm sure I'm coming off as a bit eccentric or over the top in these insight from Beatles, but those are my thoughts. I think we can endure throughout the width and breadth and depth of our own lives with excellence, imagination, and an honest engagement.